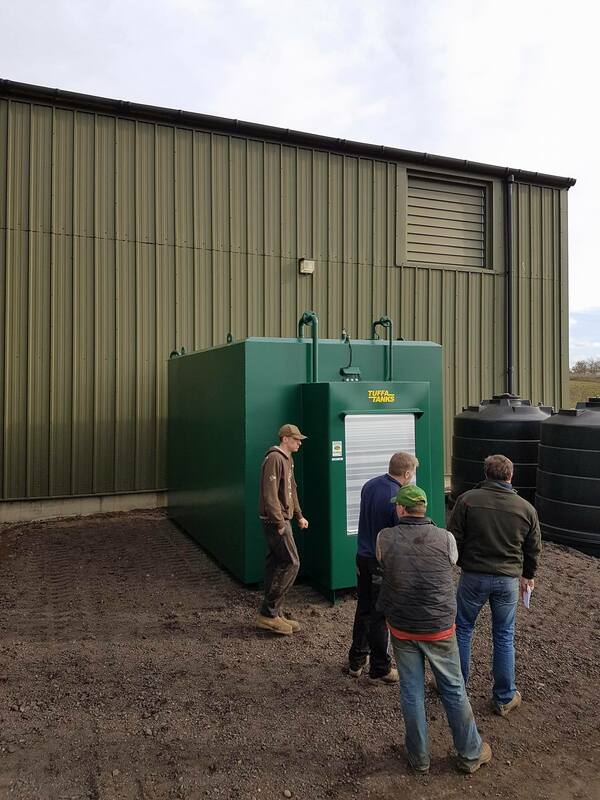 Another bulk Tuffa Tank has left the factory and headed for a farm in Bury St Edmunds. 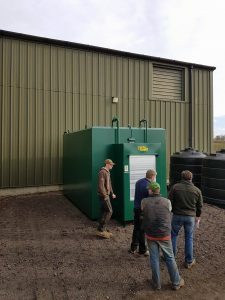 The bunded steel diesel tank is able to store a whopping 20,000 litres of the diesel fuel suitable for high speed filling of the farms agricultural machinery. 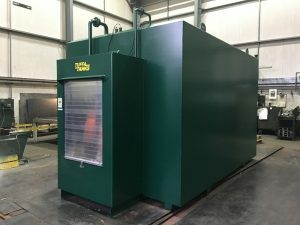 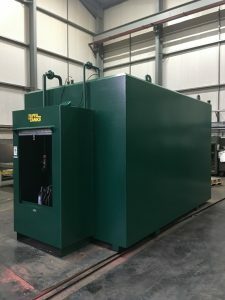 The diesel tank was fitted with a high security steel cabinet with roller shutter, high flow pump dispensing equipment, a light inside the cabinet and a 10m hose reel. 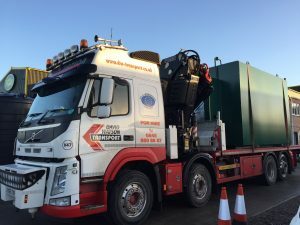 The standard Tuffa 20000SBFS Tank measured up at 4000mm (L) x 2500mm (W) x 2500mm (H) and was transported direct to site by David Watson Transport.